Kent Rudd is the new general manager at Benton, KY, ES. He succeeds Mark Fisk, who resigned earlier in September. A Benton-area native, Rudd joined the municipal utility in 1998 as a line apprentice. 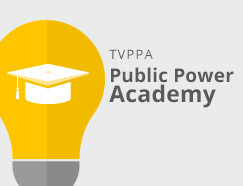 He became a journeyman five years later, after completing the TVPPA Lineman Apprentice Program. Rudd has served for the past four years as the utility’s operations foreman.